The federal agency in charge of arresting people for drugs says it won’t reclassify marijuana as something that has medical uses. In a notice to Gov. Jay Inslee published Thursday in the Federal Record, the Drug Enforcement Administration turned down a request to take marijuana out of Schedule I, a classification for dangerous drugs that have no medical use. Also in that classification are heroin and peyote. Inslee’s predecessor, Chris Gregoire, had asked the federal government in 2011 to reclassify marijuana as a drug that can have medical uses. When Gregoire made the request, Washington law approved by voters in 1998 allowed residents to use medical marijuana. Since that time, more states have legalized medical marijuana and Washington is one of four states and the District of Columbia to legalize recreational use of marijuana by adults. The drug’s chemistry is unknown, scientific studies are lacking and evidence is not widely available, the agency said in its response to requests from Gregoire and the former governor of Rhode Island, Lincoln Chafee. In a prepared statement, Inslee said he was disappointed the nation doesn’t have a national standard for medical marijuana, but the state would continue “following the will of the voters” with regulated use by adults and access to medical marijuana for patients. 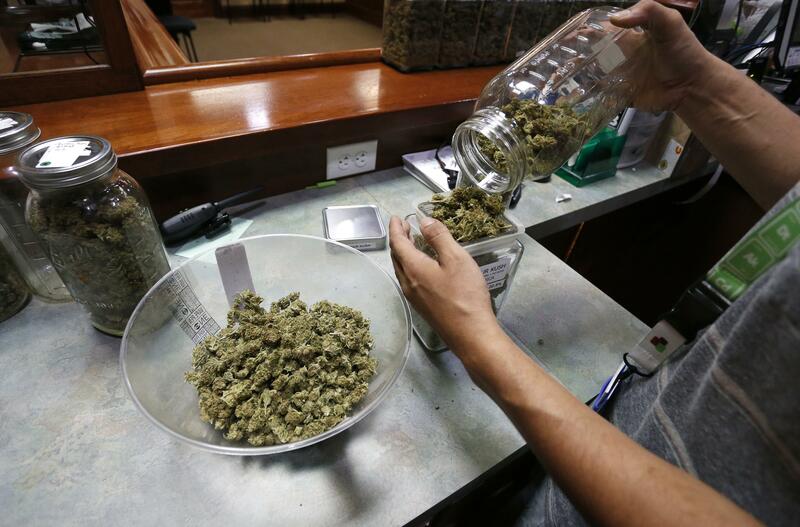 Some of the revenue from marijuana sales goes to treatment and youth prevention, he added. The Liquor and Cannabis Board, which regulates and licenses marijuana businesses in Washington, appreciates the easing of restrictions on producing plants for research and will continue to urge the federal government to reassess the Schedule I placement. Only DEA can make the change, said Gigi Zenk, a spokeswoman for the board. “Without easing the restrictions of federal dollars utilized for research purposes, or the ability to access banking on a larger scale, states like Washington face greater obstacles to legitimize the industry,” Zenk said. State Sen. Ann Rivers, a sponsor of recent legislation to regulate the marijuana industry and expand research in Washington, said Congress or the president might be able to step in and reclassify the drug. But by expanding access to plants for research, the DEA might be positioning itself to make the change in the future. The agency was arguing that there wasn’t enough research on marijuana while restricting the amount of research that could be done, Rivers said. Washington State University and the University of Washington will conduct marijuana research, she said. Without reclassifying the drug for medical use, some Washington medical marijuana patients may continue to refuse to sign up for the state registry, Rivers said. Registering with the state, which requires a doctor’s recommendation for treating certain conditions, allows a patient to buy marijuana without some of the taxes and increases the amount that person can possess. But it’s voluntary. “I think some people are staying away from the registry,” she said. Published: Aug. 11, 2016, 11:31 a.m.